This post is sponsored by The Little Potato Company. Thanks for supporting brands that make DK possible. As always, all opinions are my own. 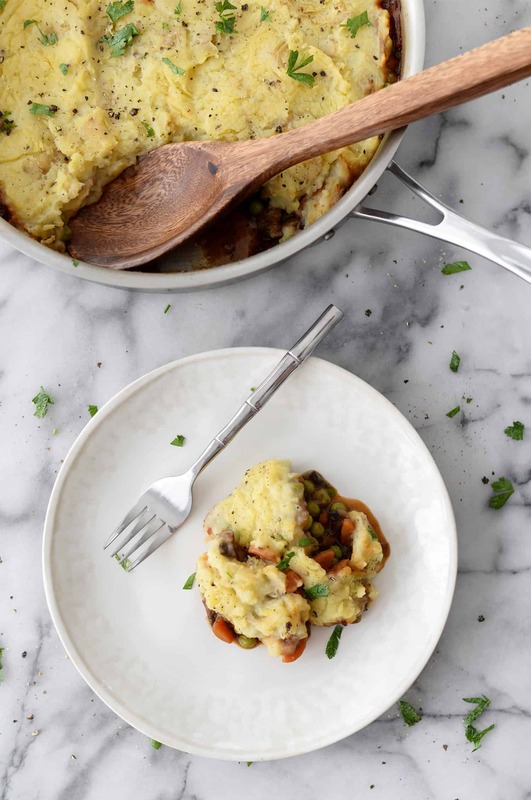 Save this one for after Thanksgiving day when you aren’t sure what to make with all of your leftover mashed potatoes. We eat a lot of mashed potatoes in our house. For starters, BL is from Wisconsin and knows his way around two foods: corn and potatoes. He also happens to make the best mashed potatoes, something he takes very seriously. He’s pretty specific on his recipe and I see no need to stray from it: skins on, mashed in the pot with plenty of butter, milk and salt. They are so perfectly creamy, I request them at least a few times a month. 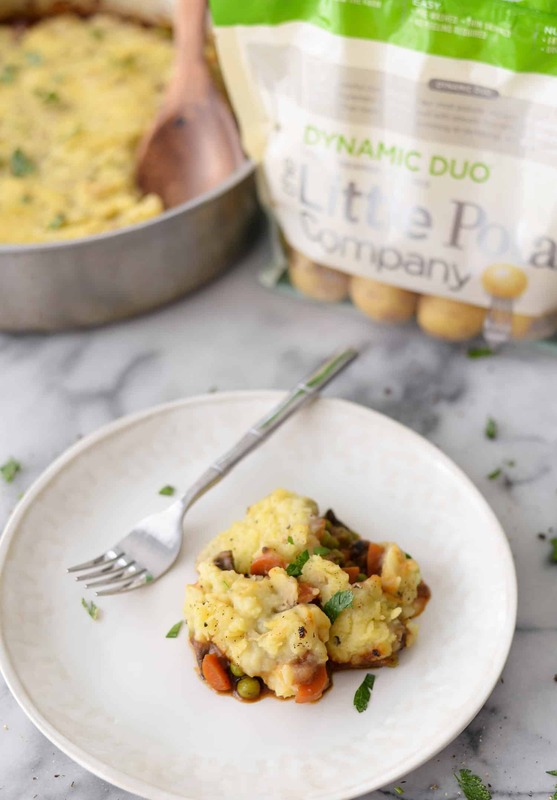 To make mashed potatoes more of a weeknight food, we use The Little Potato Company creamer potatoes. They are the perfect small size, which means they cook faster than regular potatoes. 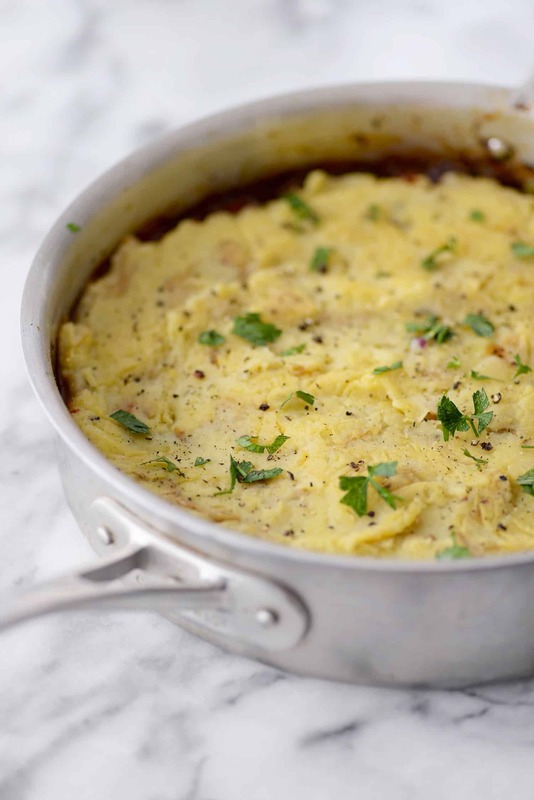 They are also super creamy, making the perfect mashed potato consistency. I used their dynamic duo potatoes for this recipe, but any kind will do. If it’s a Little Potato Company creamer potato, I can guarantee that your mashed potatoes will be incredible. 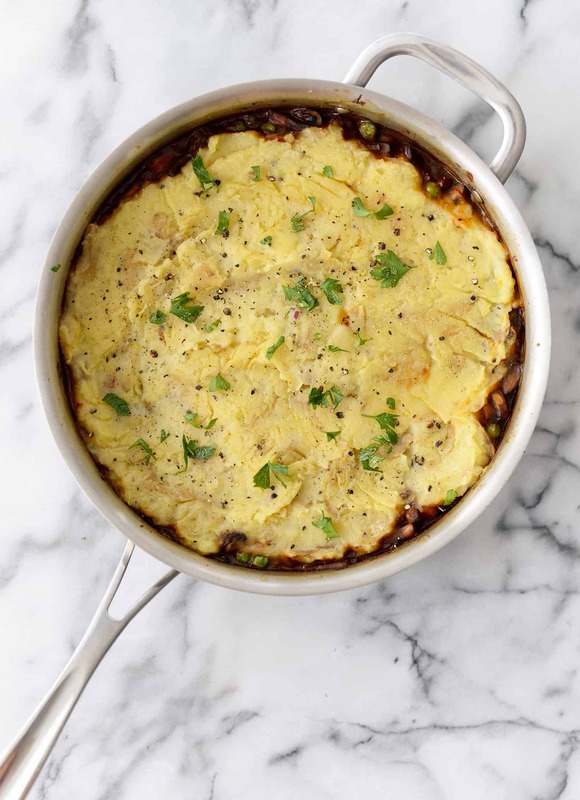 Transform your leftover mashed potatoes into this skillet Shepherd’s Pie. 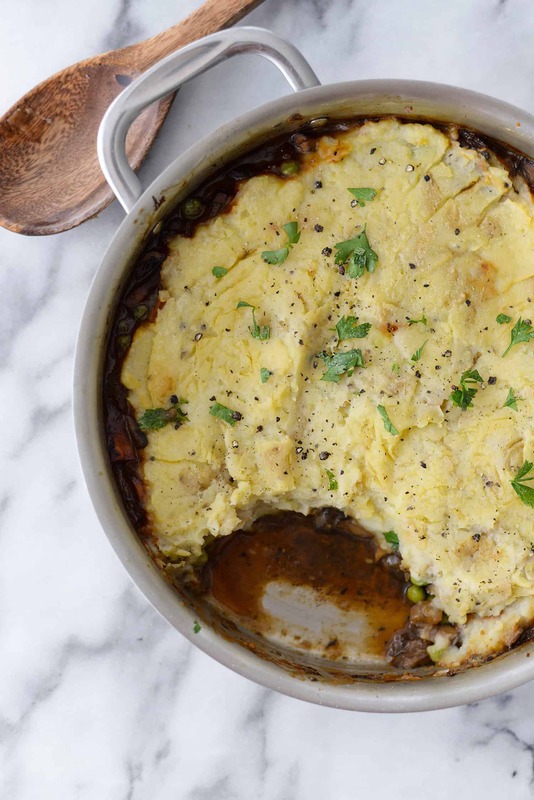 This recipe is perfect for busy weeknights as everything comes together in one pot. 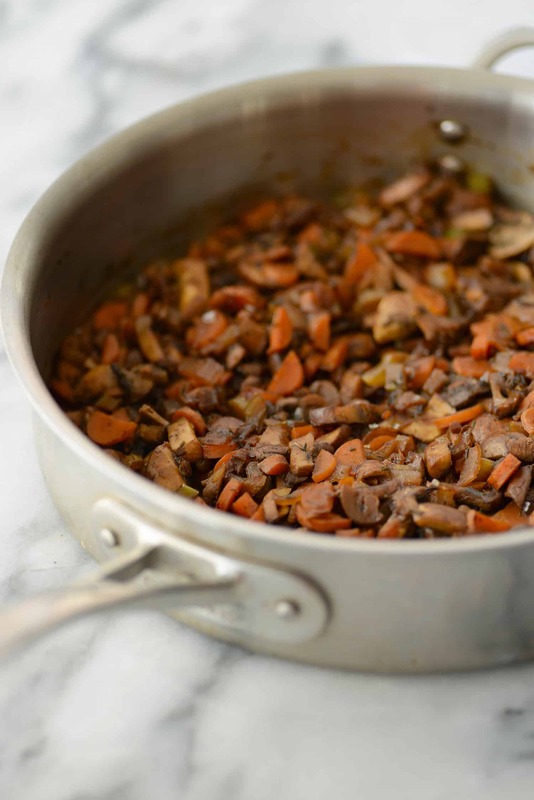 Saute together onions, carrots, celery and mushrooms, then make a quick gravy. The mushrooms are so meaty and incredible, I could eat this filling by the spoonful. Spread your mashed potatoes on top, then cover and cook until heated through. 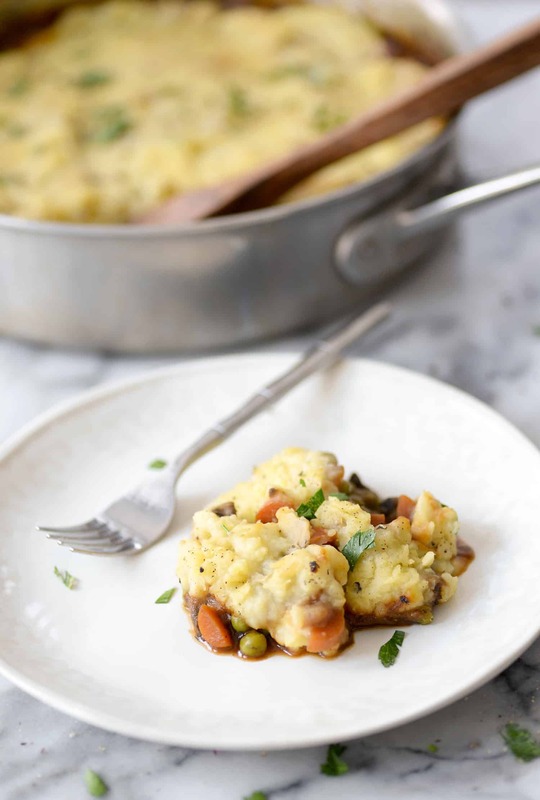 Super simple, this is one vegan and gluten-free dinner that you’re going to want to enjoy over and over again this Winter. Enjoy! Heat the oil over medium heat in a large skillet, preferably one with sides. Add the onion, garlic, carrots and celery and cook until soft, about 7-9 minutes, stirring often. Add in the mushrooms and cook another 10ish minutes until mushrooms are browned and reduced. Depending on how large your skillet is, it may take longer or shorter until mushrooms are well browned. Cover with the leftover mashed potatoes (I like to warm them in the microwave with a splash or two of vegetable broth to make them easier to spread), then cover and cook until heated through. Thanks again to The Little Potato Company for sponsoring this post. We LOVE their creamy potatoes! Thanks for supporting the brands that make DK possible. As always, thoughts and opinions are my own.